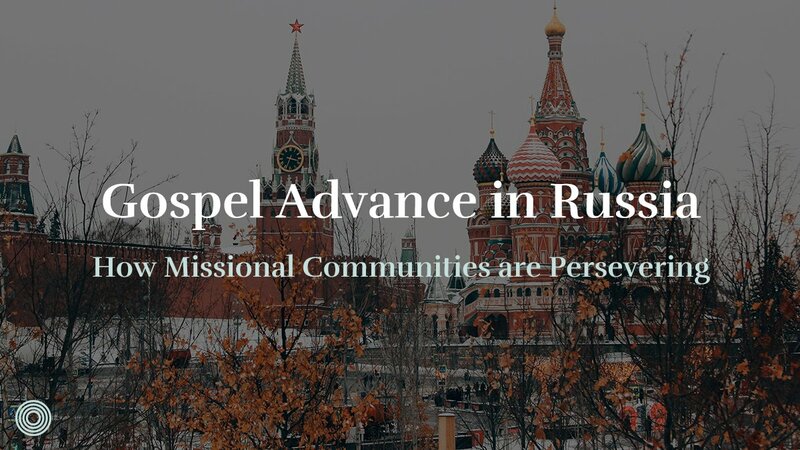 When we commit to faithfully and lovingly live life with a particular community of believers, we are submitting to Christ and refusing to be dominated by our own personal whims and desires. 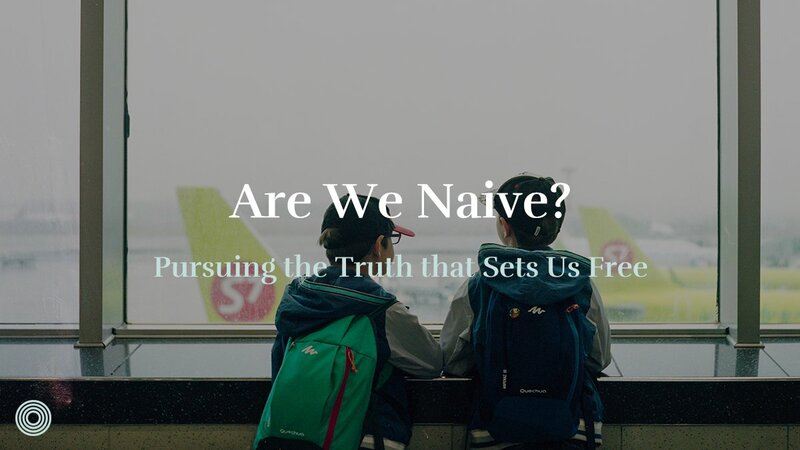 In this three-part series, I plan to dive into these questions and provide some biblically thought-out answers. You don’t join a church like you do a club. Joining a club is optional, but if you have come to faith in Christ, you are called by the King to minister to and with other Christians. To submit to Jesus entails partnering with a local expression of his body. 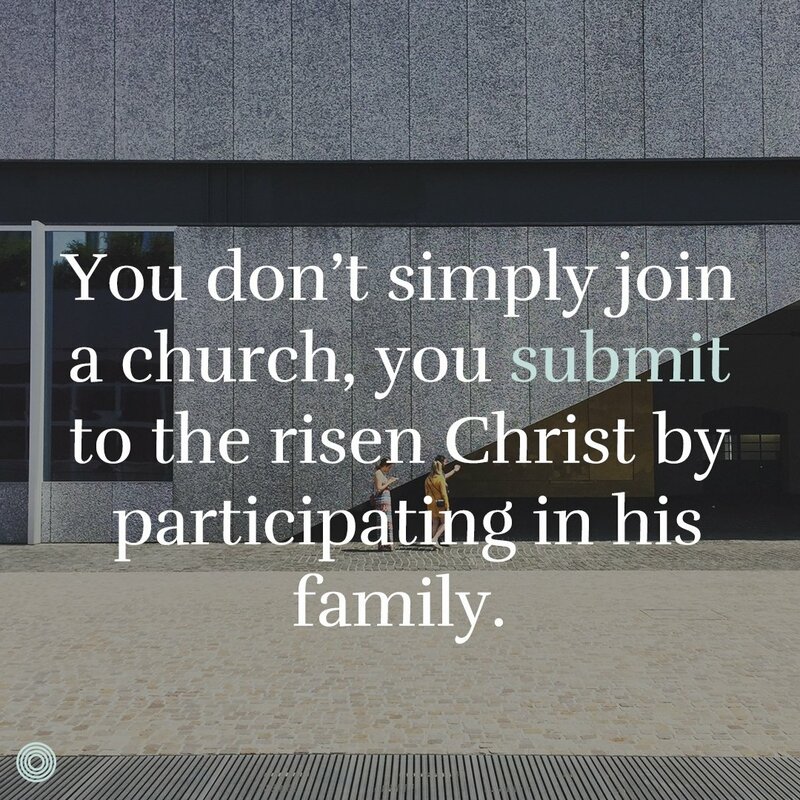 You don’t simply join a church, you submit to the risen Christ by participating in his family. In our culture, many people associate “membership” with joining a club. This is one of the reasons some have adopted the language of “partnership” as their primary way of referring to the membership commitment. Every believer in Jesus is called to partner in the work of the ministry (Ephesians 4:11-16). 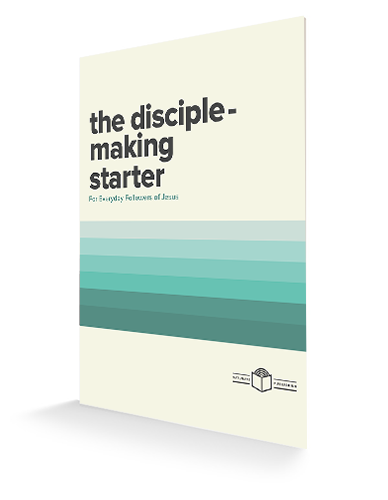 Membership is not about adding requirements foreign to Scripture, but rather about calling every Christian to do precisely what the Bible calls them to do. Actually, when done well, a formal recognition of members gives vital definition to the role of the congregation and provides another level of accountability for the leadership. 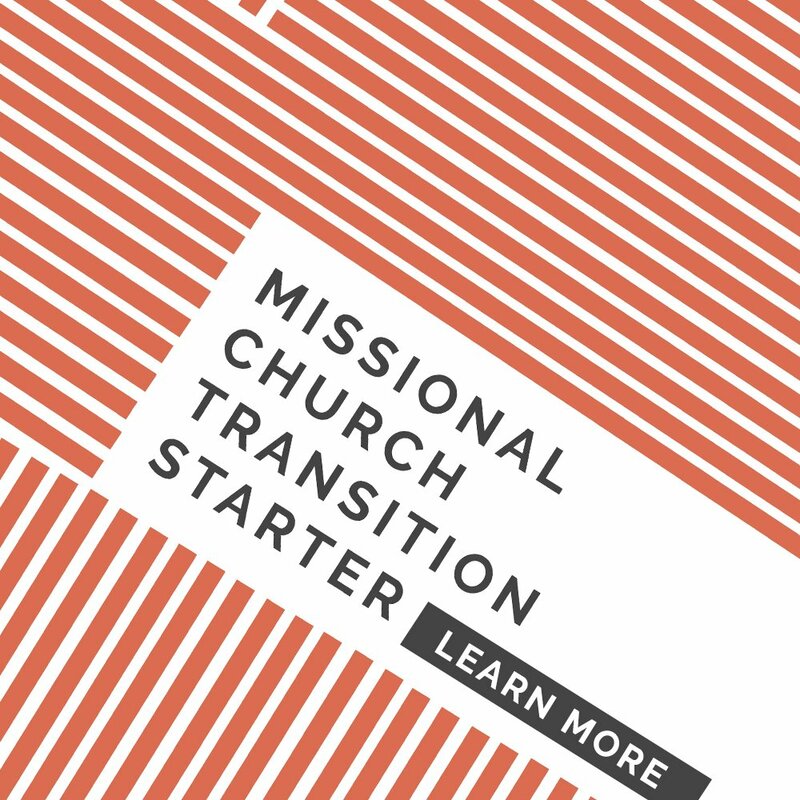 In our local church, though we are Elder-led, those who have formally partnered with us are involved in the selection of new elders and in major financial decisions. 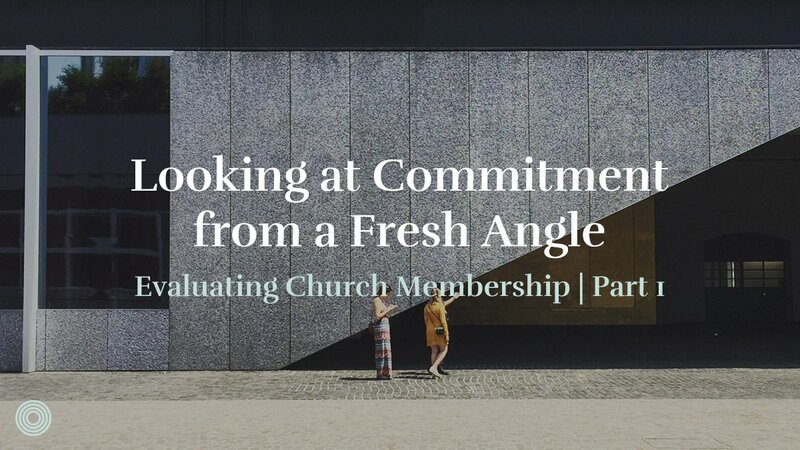 While having recognized members does not make a church immune to dictatorial leadership, churches with an undefined membership can be a much easier target for the power-hungry and abusive leader. Biblical membership is a partnership. In many discussions concerning Church Membership, I have been surprised to see little attention given to the Greek word koinonia. This word, translated as “fellowship,” “participation,” “partnership,” and “contribution,” implies both a close relational connection as well as a solemn joint commitment––one that would involve the sacrificial sharing of time, talents, and resources. In Acts 2:42 we read that the first-century Christians devoted themselves to koinonia, and in the following chapters, we witness koinonia in action. In short, koinonia is key for understanding what it means to belong to the Church. “So if there is any encouragement in Christ, any comfort from love, any participation (koinonia) in the Spirit, any affection and sympathy, complete my joy by being of the same mind, having the same love, being in full accord and of one mind. Do nothing from selfish ambition or conceit, but in humility count others more significant than yourselves. Let each of you look not only to his own interests, but also to the interests of others. Have this mind among yourselves, which is yours in Christ Jesus…” (Philippians 2:1-5). Notice that Paul instructs them to make his joy (about their partnership) complete. How? By having a unified, sacrificial, Christ-exalting commitment to one another. This means that your connection with the local church is not something that should ebb and flow on your own terms. It’s not based on a consumer mentality. Partnership in the local church is about submission. Submission to God and to one another for their good and his glory. Just read the next few verses in Philippians 2 to be reminded of how this got worked out with the ultimate example of submission: King Jesus himself. When we commit to faithfully and lovingly live life with a particular community of believers, we are submitting to Christ and refusing to be dominated by our own personal whims and desires. 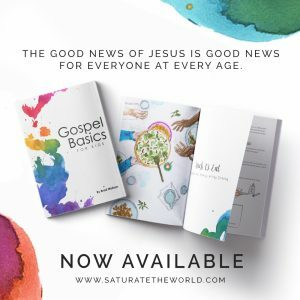 In essence, we are saying like Christ, “Not my will, Father, but yours be done.” We are acknowledging the Lordship of Jesus by submitting to his design for the Church. Paul’s exhortations to the Philippians annihilate the notion that a person could experience koinonia while not being in submission to a local church family. To claim such would be just as ridiculous as saying you play for the NFL while actually not belonging to any team in particular. So what is partnership? Partnership is a relational bond of fellowship with a purpose. 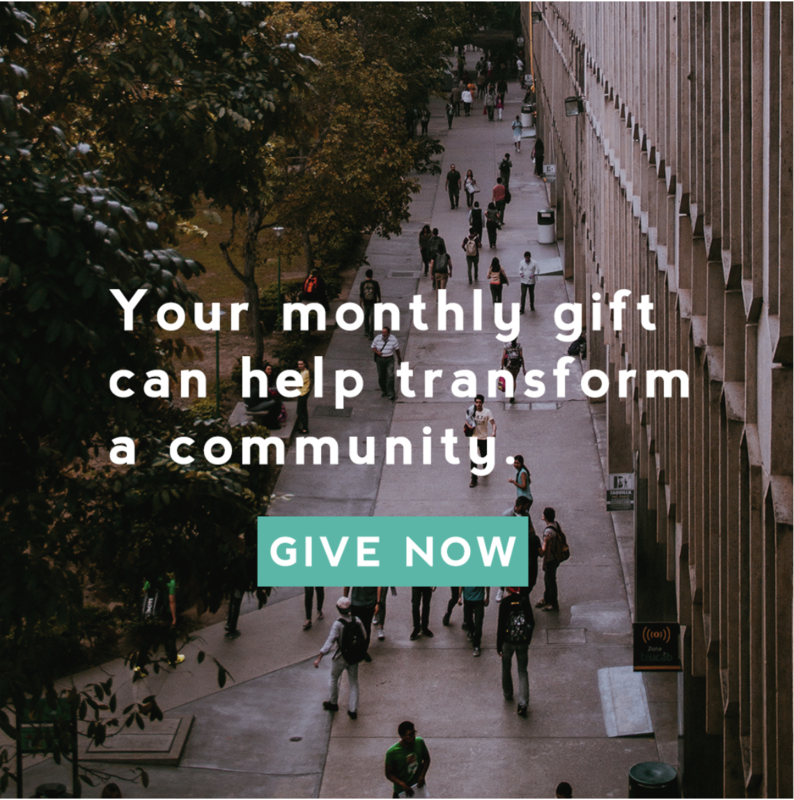 Partnership is a commitment to the interests of others within the local church that works itself out through submissive and sacrificial service (Philippians 2:4). The word fellowship has become synonymous with hanging out after the gathering for some coffee and cookies, but koinonia is so much more than a causal interaction. In fact, “fellowship” on your own terms, isn’t really fellowship at all. Think The Fellowship of the Ring not optional small talk or light snacks. Notice how this idea of partnership fits with the biblical concept of membership. In Scripture, the “member” language has nothing to do with a club and everything to do with organic members of a body working together to build itself up in love. The members of the body partner together, if you will, for their mutual edification and the accomplishment of Jesus’ mission. So the image of different members working together is another way of describing the practice of koinonia. Biblical membership is a gospel partnership. 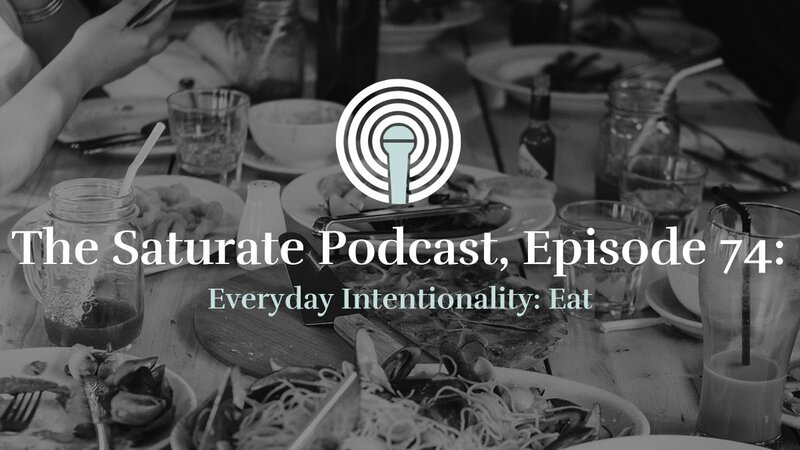 We’ll continue this investigation in part two by examining the Scriptural basis for a formal membership process, and by taking a look at how this fits within our familial and missional ecclesiology. How have you experienced being a family on mission compatible with official church membership?